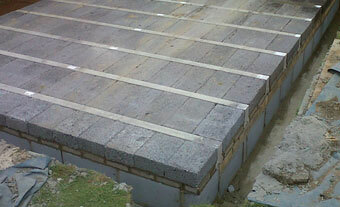 Block & Beam Floors are a quick clean solution to suit any construction project. In most situations where reinforced concrete ground beams have been requested by a structural engineer they will also require a suspended floor which will either be timber joist and floor boards, or the most common a pre-cast concrete Block & Beam Floor. With the expertise and equipment to construct all your flooring requirements, PPF can offer a complete foundation package.